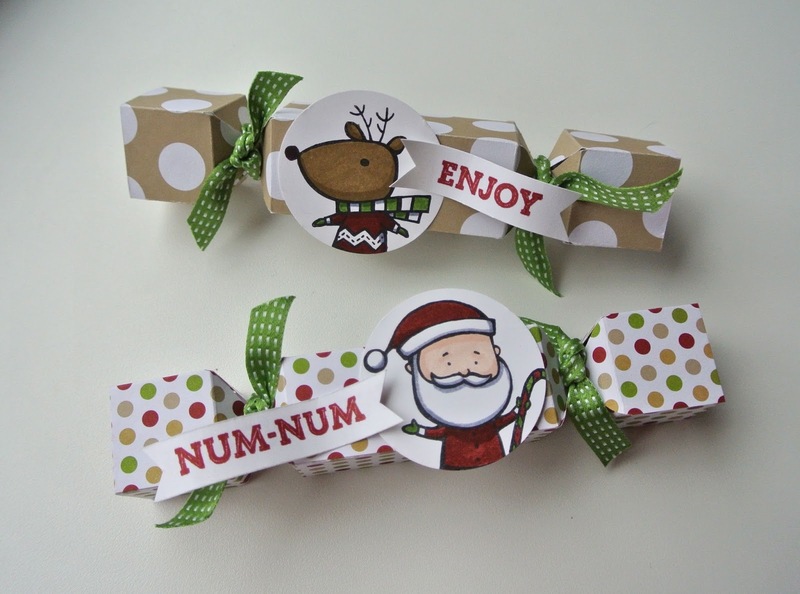 Inch of Creativity: Christmas Crackers! I know, I know! Thanksgiving was just yesterday, but I couldn't wait to share these cute little Christmas Crackers! I don't know about you, but I love it when you find different ways to use the same tool, so when my friend mentioned there was a video on how to make Christmas Cracker with the envelope punch board, I just had to go check it! Sure enough, there was and I couldn't wait to make some. You need to use Designer Series Paper or another light weight paper when creating these, as you need to fold it and punch through 2 layers. I wanted to use my current Christmas DSP, but I only purchased the paper stack (Love It!!!) So I decided to change up the measurements and Voila! I actually like this size a little better as I found the original ones to be a little wide, but they would be great if you wanted to put in a paper crown and a little toy like actually crackers have! To share my cracker measurements, I made a video tutorial for you! Remember, I used the DSP paper stacks (4.5" x 6.5") so I didn't have to PRE cut! Gotta love that! Check it out and happy creating! I've enjoyed watching your video; would you consider doing one for the coffee cup/peek-a-boo frame, sometime? I'd appreciate this, I missed it at convention; TFS!! Thanks Susan! For Sure! In the near future! I haven't forgotten your request! Totally awesome. Your instructions were very clear and concise. Thank you so much. Thank you so much for sharing. Loved making the project! These are so adorable!!! Might be fun to do for my daughters class! Thanks for sharing!! Soooo cute!! So talented you are! !